Slathering a healthy food with a lot of fat and/or sugar makes it no longer healthy. This might sound obvious, but you’d be amazed how easily we are confused. Not once you top it with candy, on top of all the added sugar. Oops, filled this one with sugar and candy too. 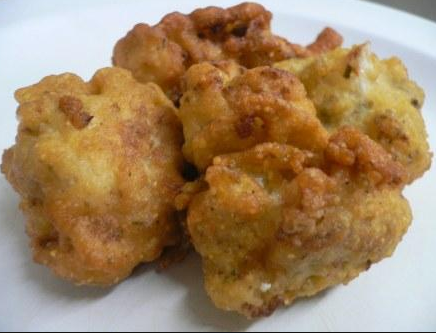 And fried cauliflower is a vegetable, so it must be healthy, right? This isn’t to say that no one should ever eat foods with sugar and fat. Rather, know when you’re eating it. 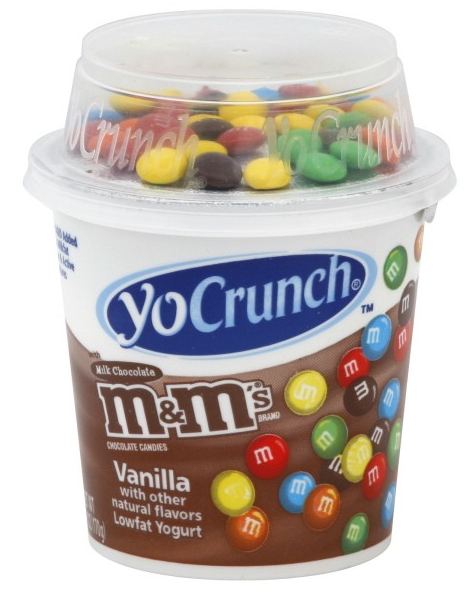 YoCrunch isn’t a main course–it’s a dessert. 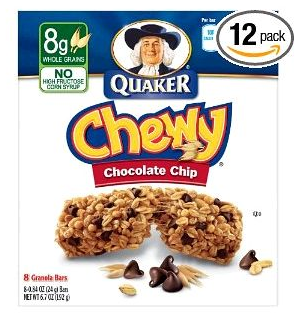 Same goes for most granola bars. And vegetables can be made with so much oil, butter or cheese that they no longer count as a healthy side dish. So much of raising healthy eaters is about knowing what “healthy” is. Try this cauliflower instead. Ours was purple, because, why not? You can use white cauliflower, though, which will be prettier. I promise. Preheat oven to 425 degrees. 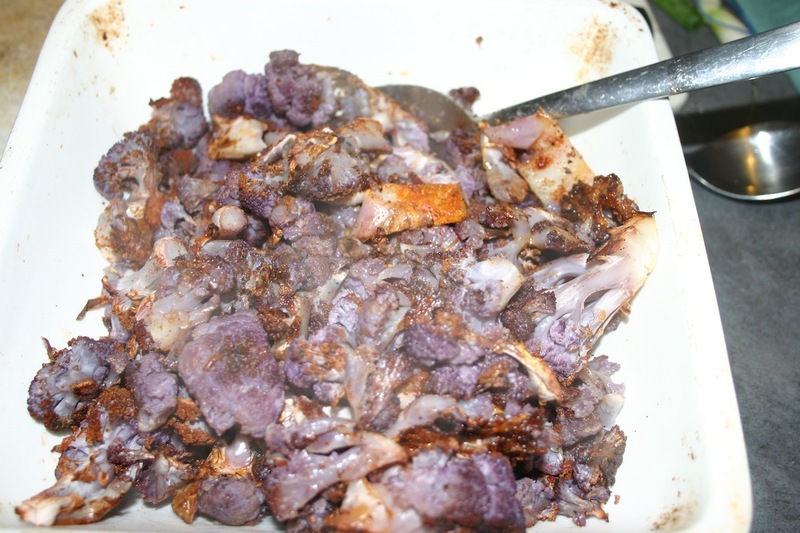 Chop cauliflower into small pieces. 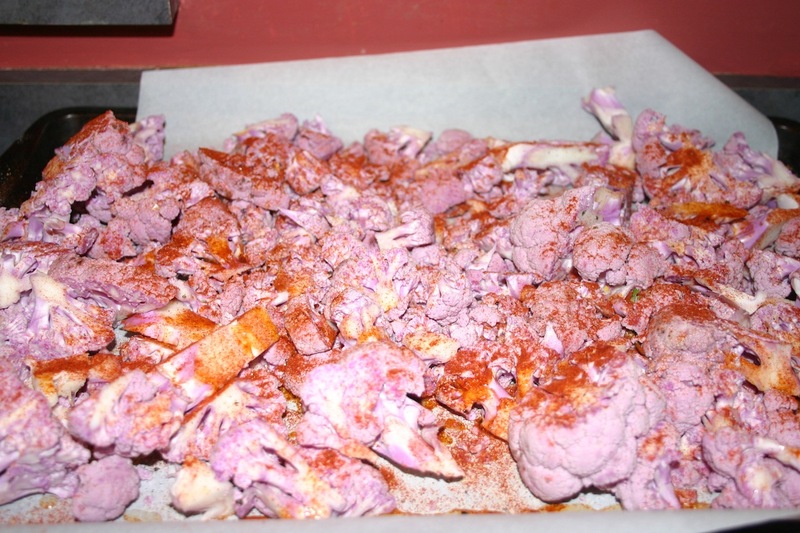 Add spices, salt and oil to a large bowl and stir cauliflower into it until it’s coated. Bake until cauliflower is crispy at the edges–about 30 minutes.